Windsinger is the first book of my Elemental Destinies series, and the introduction of the Twixters, half-human, half-elemental and entirely unique. In this excerpt, Cecy and Sami (who are both half air elemental) are discussing Cecy’s wild night. “So I hear he showed up at the meteor shower.” Sami looked over her ice cream cone at Cecy. Sami lowered her cone, clearly expecting to get the full story. Cecy took a studious lick of her ice cream, and then another. Cecy took another lick of her ice cream, shifting her eyes toward Sami, then back to the ice cream again. “He found me in the desert,” she finally admitted. Cecy smiled a secretive smile and Sami rolled her eyes. “I keep forgetting you weren’t a normal kid,” Sami said. A prophetic statement – that will be called back to at a later time in the series. Only one of the many magical details that make up the series. 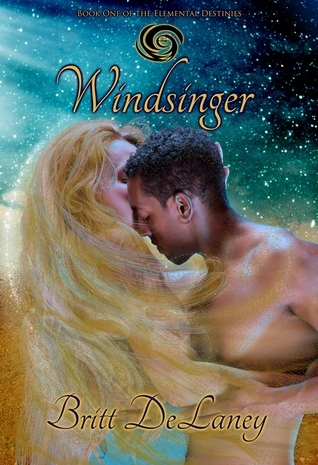 Windsinger is available at Amazon.com in print and eBook for Kindle. Don’t forget to enter the giveaway at Goodreads for a chance to win a free copy!